Even as Congress general secretary in charge of Eastern Uttar Pradesh Priyanka Gandhi is currently touring some constituencies under her belt, a similar high optic campaign is likely soon by her counterpart in Western UP and Bundelkhand Jyotiraditya Scindia. Guna Lok Sabha Member of Parliament Jyotiraditya Scindia, who was Congress’ campaign committee chairman for the 2018 Madhya Pradesh assembly polls, successfully led his party to victory, dislodging the 15-year-old Shivraj Singh Choujan government in his home state. 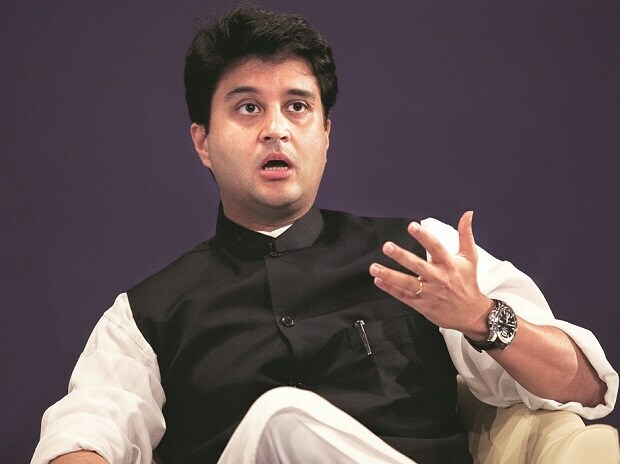 Among front-ranking youth leaders, Scindia enjoys good equation with Congress president Rahul Gandhi. His elevation as an election manager in the crucial state of UP, which accounts for the maximum 80 Lok Sabha seats and where the grand old party has been lying comatose for three decades now, is an indication of the trust reposed in him to deliver in high-octane poll battles. Priyanka and Scindia have been allotted 41 and 39 constituencies in UP to manage and reenergise ahead of the coming Lok Sabha polls. Since, the Gwalior-based Scindia family holds considerable goodwill and clout in the Bundelkhand region, which expands beyond the geographical boundaries of UP and MP, Congress is hoping for a turnaround, especially with UP heading for a triangular contest between Congress, ruling Bharatiya Janata Party (BJP) and Samajwadi Party-Bahujan Samaj Party combine. The arid and economically backward Bundelkhand in UP comprises four parliamentary constituencies of Jhansi, Banda, Hamirpur and Jalaun covering seven districts of Jhansi, Lalitpur, Jalaun, Hamirpur, Mahobad, Banda and Chitrakoot. “It was the Congress government which worked for the socioeconomic development of Bundelkhand and gave it a package. The electorate in Bundelkhand have high hopes from the party and is supporting us massively. We will win all the seats there,” party leader and former UP legislator Akhilesh Pratap Singh told Business Standard. He further said the Congress government in MP was already working for the welfare of the Bundelkhand region and this factor would also positively help the party gain traction. However, the ruling BJP is looking to counter the charm offensive of Scindia with its own narrative of working for development in Bundelkhand, especially high ticket projects of Defence Corridor and Bundelkhand Expressway. On February 15, Prime Minister Narendra Modi had laid the foundation of the Bundelkhand Defence Industrial Corridor in Jhansi, which is expected to attract investment of Rs 20,000 crore. It was one of the several infra projects totalling Rs 40,000 crore in Bundelkhand region, which were either inaugurated or witnessed their foundation laying. The Corridor would comprise six nodes at Aligarh, Agra, Jhansi, Kanpur, Lucknow and Chitrakoot and create 250,000 job opportunities. In fact, memorandums of understanding (MoU) worth Rs 4,000 crore have already been signed with public and private sector companies for setting up their units and the government has identified 5,000 hectares as well. Another mega project included water pipeline estimated to cost more than Rs 9,000 crore. Earlier on January 29, the Yogi Adityanath cabinet had cleared the proposal of 296 km Bundelkhand Expressway, which is estimated to cost Rs 8,864 crore and entail acquisition of 3,641 hectares of land. “Scindia has no influence in Bundelkhand and is yet to even pay a visit there, while Modi ji and Yogi ji have visited the region several times over and gave mega projects like Defence Corridor and Expressway for the socioeconomic development of the area,” BJP spokesperson Chandramohan Singh said adding the state government had effectively rooted out rampant illegal mining in the region.